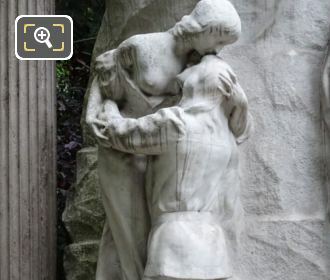 It was while we were within the 8th Arrondissement of Paris that we took these high definition photos of a statue called Le Reve du Poete by Alphonse de Moncel, which is located in the garden of the Grand Palais and is dedicated to Alfred de Musset. 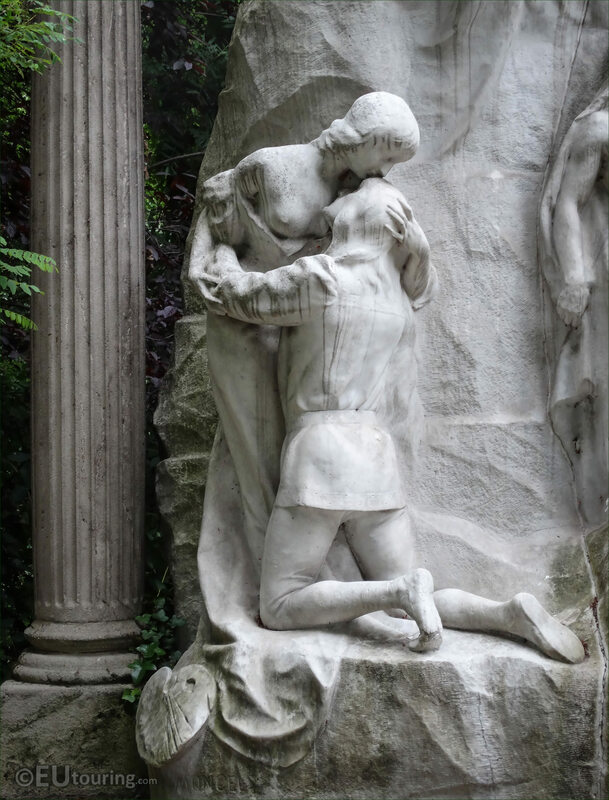 This first HD photo shows the full large scale statue in marble, which is actually in a garden area called the Jardin de la Nouvelle France, formerly known as the Vallee Suisse, and it is situated on the western side of the Grand Palais in the 8th Arrondissement. 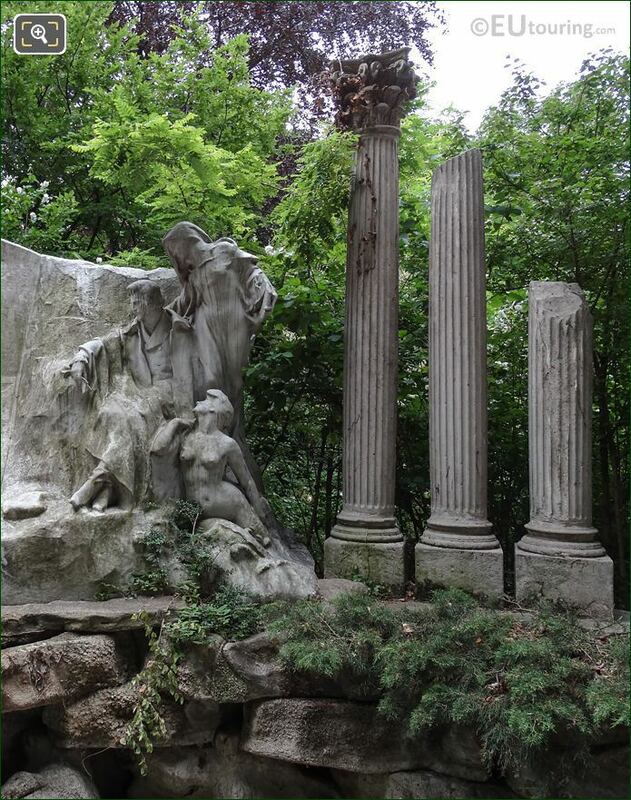 Now, this monument is dedicated to a poet, dramatist and novelist called Alfred de Musset, and hence the name Le Reve du Poete, which translates in English to The Dream of the Poet, and in this image you can see a part of the composition designed with ancient ruins as the columns that are on either side of the setting. 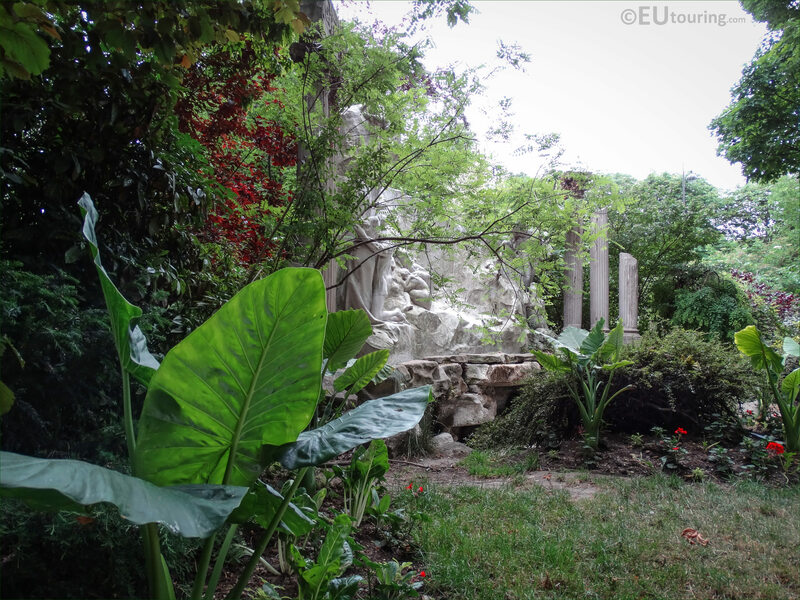 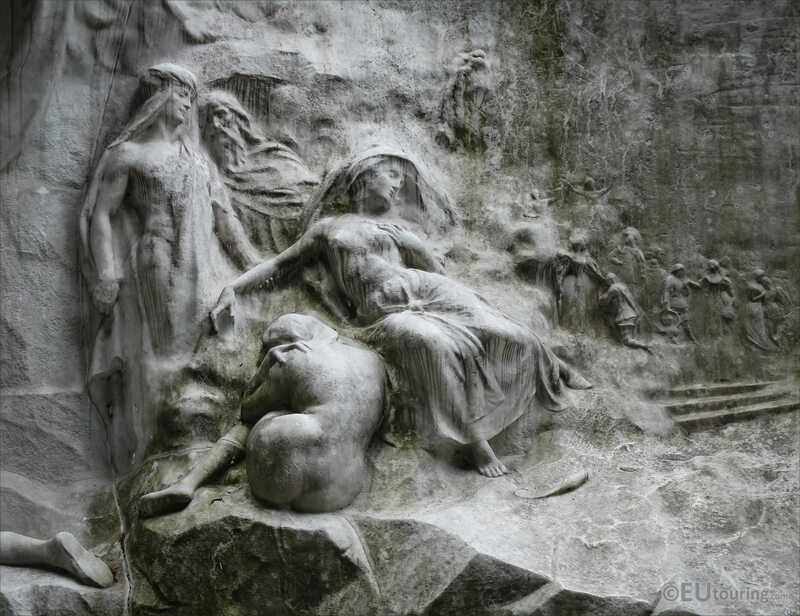 And in this photograph you can see another statue group carved in a different section of the monument, but out of the same large block of marble, which was first presented by the sculptor Alphonse de Moncel at a Paris Salon for French artists back in 1905. This next image shows the right hand side of the monument The Dream of the Poet with another statue group carved out of the marble, and this was designed to represent Alfred de Musset with his muse, and this complete composition was again presented at another Salon in 1907. 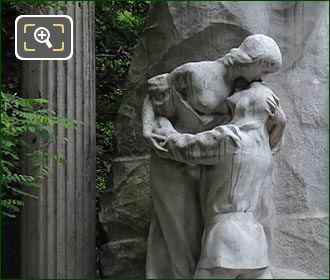 So this high definition photo shows a statue group to the left of Le Reve du Poete, representing love with two people embracing, and eventually this was realised as a memorial statue to Alfred de Mussat who often focused on the theme of love within his works. 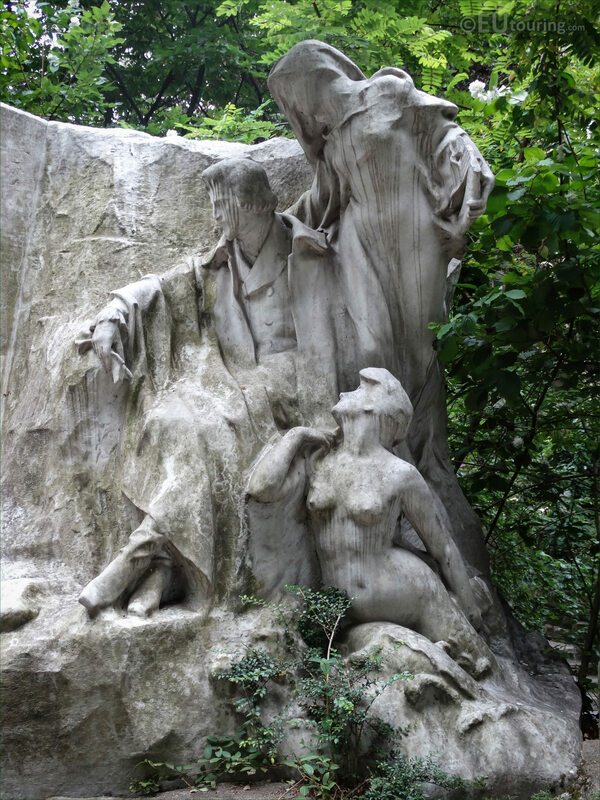 And Alfred de Mussat was born in Paris in December 1810, and one of his works called La Confession d'un Enfant du Siecle, which translates to The Confession of a Child of the Century, is a novel he wrote based upon his love affair with George Sand that has even been made into a film, and his passion for romanticism stems from early childhood when he used to act out parts from stories he had read. 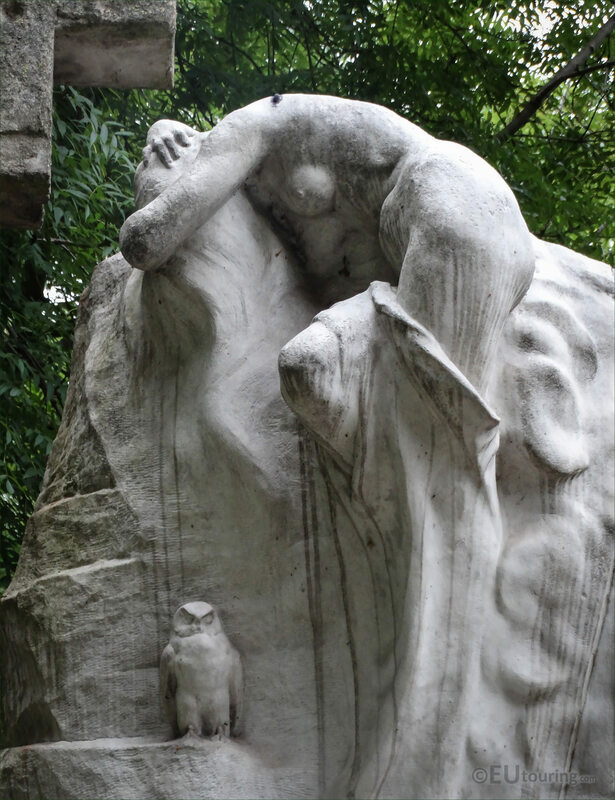 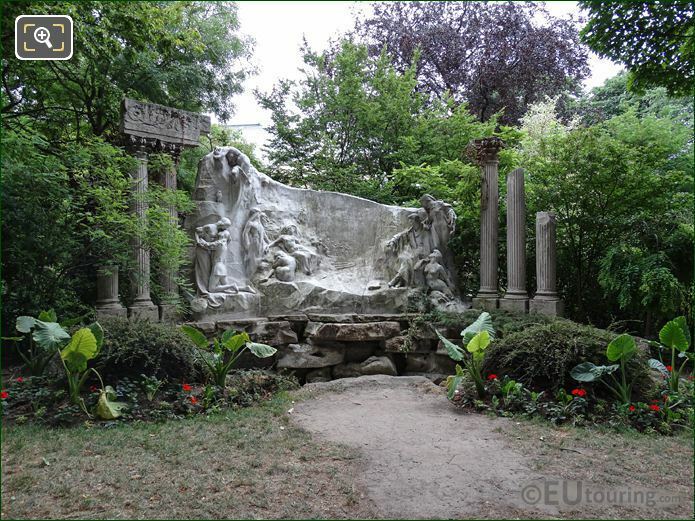 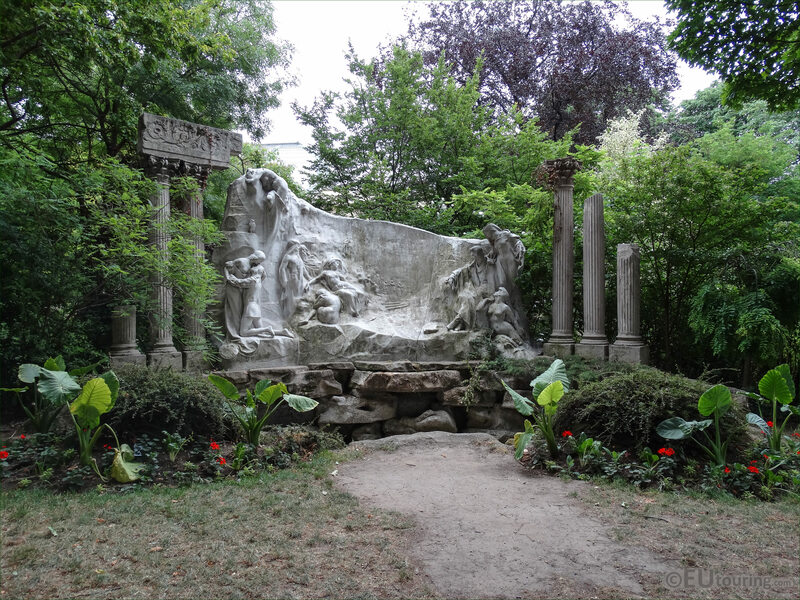 Now this image shows another part of the monument close up with a statue of an owl perched on a ledge, and eventually following an order of the City of Paris and the French State, this was placed within the Jardin de la Nouvelle France in 1910, which is a romantic and unusual garden, befitting of a monument to Alfred de Mussat. 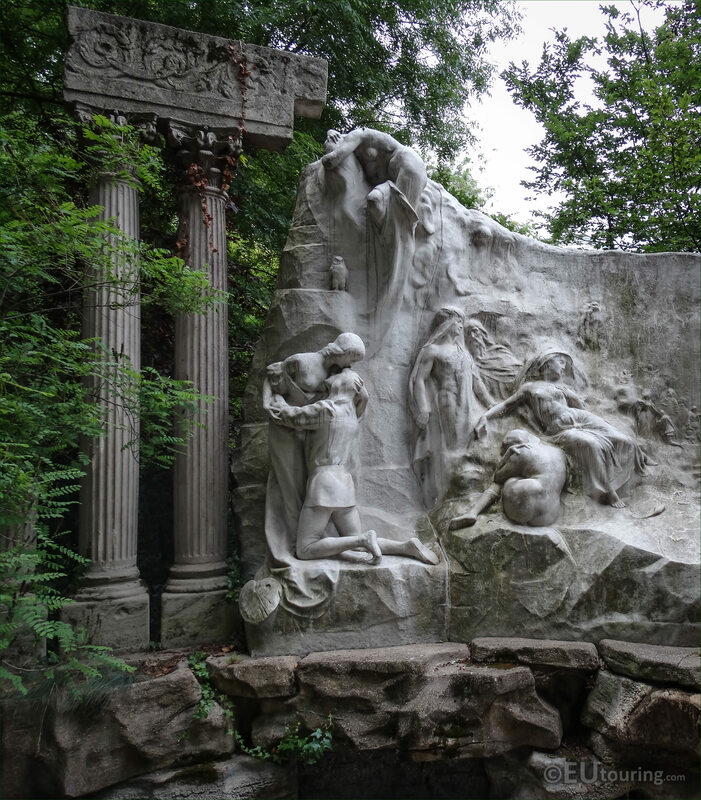 Yet here you can see the large scale of this statue group, which was made in three parts, two of those being the sides with their ancient ruins and the third part, is the marble in the centre, which Alphonse de Moncel carved out of a single piece of marble. 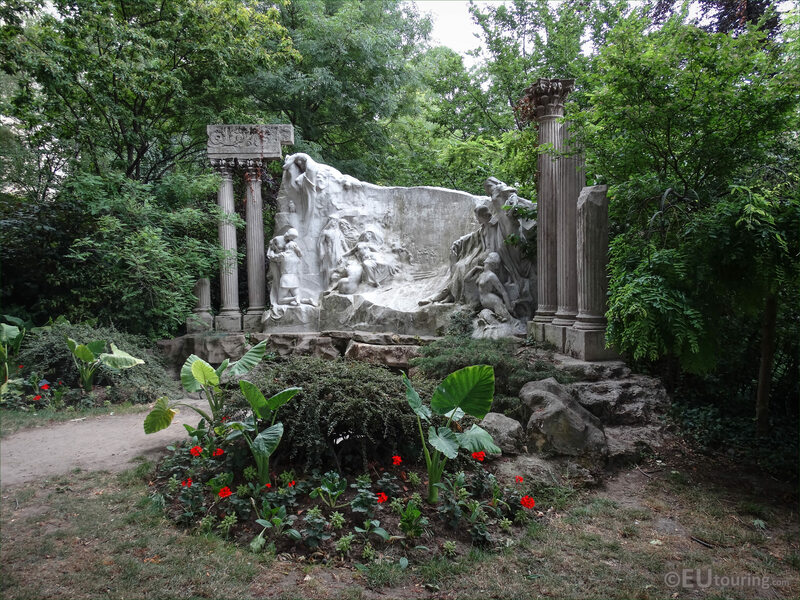 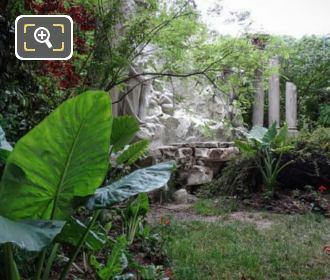 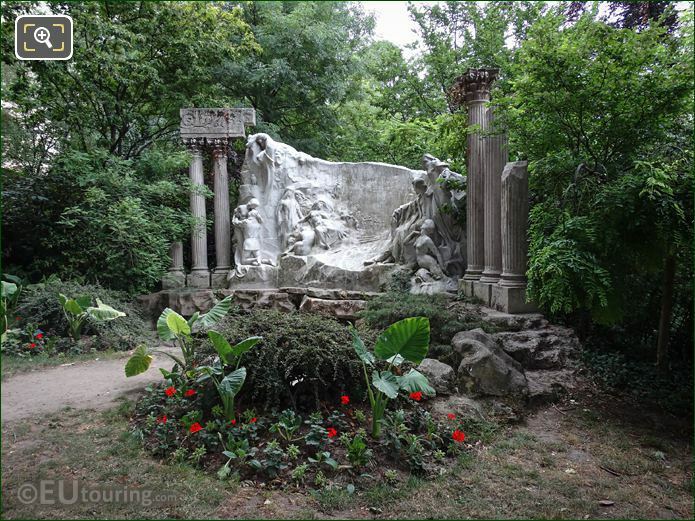 And in this last image, it shows a different view of The Dream of the Poet statue group almost hidden amongst the greenery, which was produced by Alphonse de Moncel who was born in 1866 with a full name of Alphonse Emmanuel de Moncel de Perrin, and becoming a French sculptor and engraver, he passed away in 1930.